Wind protection is a long-standing indigenous practice in traditional agriculture of many regions. In attempts to improve or establish wind protection schemes with trees, it makes sense to study the link which can be observed between traditional and relatively recent but promising agroforestry practices. And it makes sense as well to try to quantify phenomena taking place in such traditional and such promising practices alike. In the case study in Croatia reported here, the farmer requested CCRES to assist in providing the agrometeorological input into the set-up of experiments under conditions in farmers’ fields, with a system of wind barriers with trees, in irrigated crops in Lika Region. The choice to use multiple tree breaks appears justified by the increase in roughness over a larger area in addition to separate wind break effects, and by the multipurpose use of trees and their products which is economically possible. In larger scale agriculture, where irrigated cash and food crops have to be protected against very strong winds, relatively narrow rows of trees are to be preferred above wider belts as an intercrop or scattered trees or bushes. As mentioned earlier, where mechanical damage from strong winds is the primary limiting factor, the agronomist member of the team should pay primary attention to phenology, growth and yield parameters and visual or even microscopic observations of actual mechanical damage. This will make it possible to observe differences between unprotected crops and protected ones at different distances from belts. Whether in strip cropping, in using narrow tree rows or in mixed experiments, cost/benefit ratio determinations are absolutely necessary to understand the proper gain from the multipurpose role of trees and from yield (quality) increases due to the trees or crops applied for protection from wind. 2015 EU Sustainable Energy Week! The daily programme is divided into approximately 5.5 hours of lectures and digital cases, and 2.5 hours of practical work. 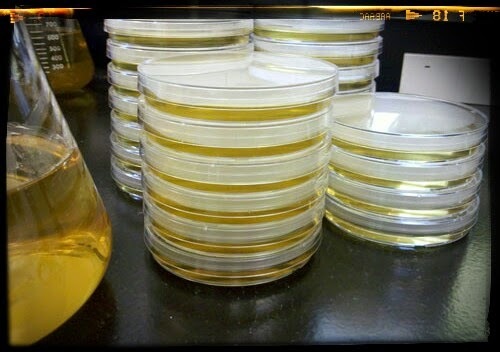 On Saturday and Sunday, 1.5 hours will be spent on practical work (microalgae do not stop growing at the weekends…). 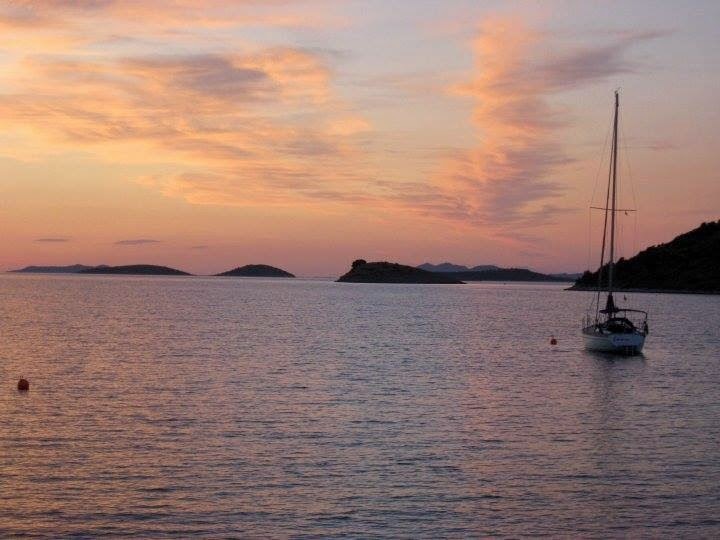 Saturday will also feature an excursion to the CCRES research facility, Zadar, Zaton, followed by a barbecue. Our best source of biological iodine and our best protection against thyroid disruption is to body-load with iodine contained in iodine-rich whole raw seaweeds as regular daily consumption. If our bodies have an ongoing full complement of I-127, we can better resist taking in incidental I-131. This means that eating seaweeds regularly in the diet, especially the big northern kelps, to provide both dietary iodine and protection against the ongoing I-131 hazards. No land plants are a reliable natural source of iodine. Garlic grown near the sea often has relatively high amounts of biological iodine. Besides garlic, root crops, such as turnips, carrots, potatoes, parsnips, and sweet potatoes, are plant sources of iodine. However, the best natural source of biological iodine is seaweed. 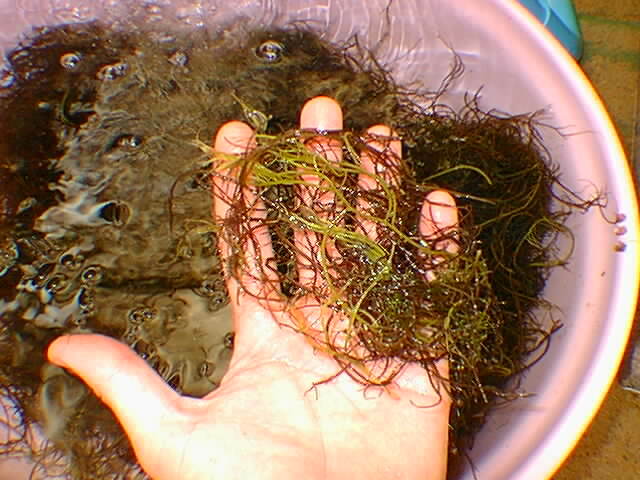 Any seaweed contains more available dietary iodine than any land plant. 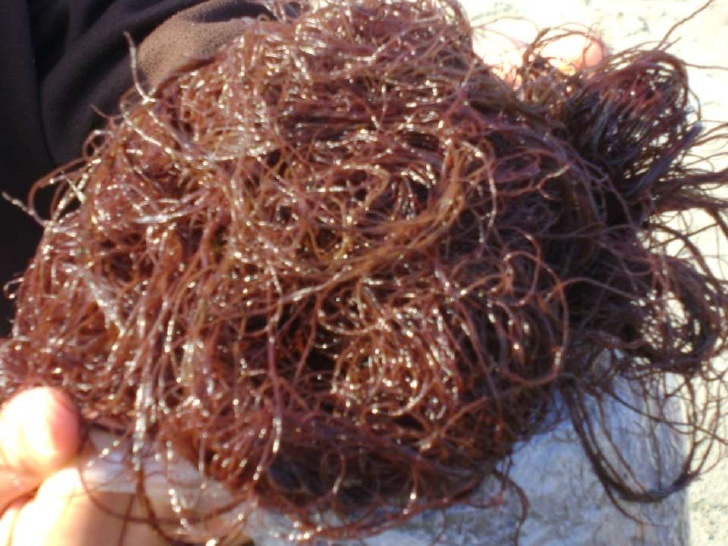 The seaweeds with the most available iodine are the giant kelps of the northern hemisphere. The highest concentrations of iodine occurs in Icelandic kelp (8000 ppm), Norwegian kelp (4000 ppm), and Maine and California kelp (1000-2000 ppm). The seaweeds with the least amounts of iodine are nori (about 15ppm) and sargassum (about 30-40 ppm). The amounts of iodine in land plants can be greatly increased by fertilizing food plants with seaweeds applied directly to the soil as topical mulch or tilled into the soil. Treatment Guideline 1: Rather uncomplicated seaweed therapy seems to help relieve many of the presenting symptoms of thyroid dysfunction. Some of the results are very likely from whole body remineralization (especially potassium, zinc, calcium, magnesium, manganese, chromium, selenium, and vanadium), in addition to thyroid gland aid from both sustained regular reliable dietary sources of biomolecular iodine and from thyroxin-like molecules present in marine algae, both the large edible seaweeds and their almost ubiquitous epiphytic micro-algae, predominantly the silica-walled diatoms. Seaweeds provide ample supplies of most of the essential trace elements required for adequate enzyme functioning throughout the body but especially in the liver and endocrine glands. Treatment Guideline 2: Regular biomolecular seaweed iodine consumption is more than just thyroid food: it can also protect the thyroid gland from potential resident I-131-induced molecular disruption and cell death when the thyroid gland is fully iodized with I-127. The fear of eating seaweed that might be contaminated with I-131 is easily mitigated by allowing the seaweed to be stored for 50 days prior to dietary consumption; this will give enough time for most (99%) of any I-131 to decay radioactively. A simple folk test for iodine deficiency or at least aggressive iodine uptake is to paint a 2-inch diameter round patch of USP Tincture of Iodine (strong or mild) on a soft skin area, such as the inner upper arm, the inside of the elbow, the inner thigh, or the lateral abdomen between the lowest rib and the top of the hip. If you are iodine deficient, the patch will disappear in less than 2 hours, sometimes as quickly as 20 minutes; if it fades in 2 to 4 hours, you may just be momentarily iodine needy. If it persists for more than 4 hours, you are probably iodine sufficient. Iodine deficiency seems to predispose to thyroid malignancy; this could explain the apparent thyroid cancer distribution “fans” downwind of nuclear facilities in previous ‘goiter belt’ areas. This test is of course easier to use with Caucasians and may not offer sufficient color contrast in brown-skinned people. Treatment Guideline 3: Many patients with underactive thyroid glands complain of a sense of “coldness” or feeling cold all of the time; often they are over-dressed for warmth according to ‘thyronormal’ people’s standards. They may also present a low basal body resting temperature, as measured by taking their armpit temperature before rising in the morning. (Remember to shake down the thermometer the night before). Other symptoms may include sluggishness, gradual weight gain, and mild depression. 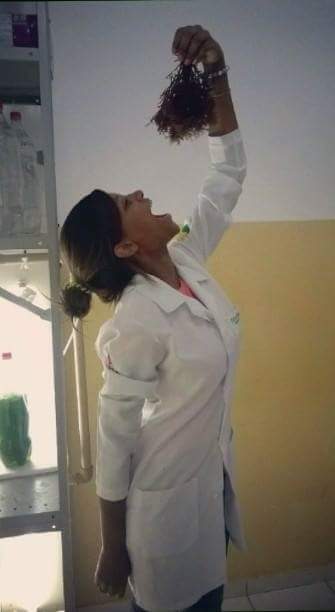 For these patients, add 5 to 10 grams of several different whole seaweeds to the daily diet; that is, 5 to 10 grams total weight per day, not 5 to 10 grams of each seaweed. I usually suggest a mix of 2 parts brown algae (all kelps, Fucus, Sargassum, Hijiki) to one part red seaweed (Dulse, Nori, Irish moss, Gracillaria). The mixed seaweeds can be eaten in soups and salads or easily powdered and sprinkled onto or into any food. I recommend doing this for at least 60 days, about two lunar cycles or at least two menstrual cycles; watch for any changes in signs and symptoms and any change in average daily basal temperature. Note that patients can have a normal 98.6°F temperature and still feel cold and also present many of the signs and symptoms of functional hypothyroidism. Do not insist that all hypothyroid patients must have abnormally low basal resting temperatures. If no symptoms improve or the temperature remains low (less than 98.6°F), continue seaweeds and request a TSH and T4 test. 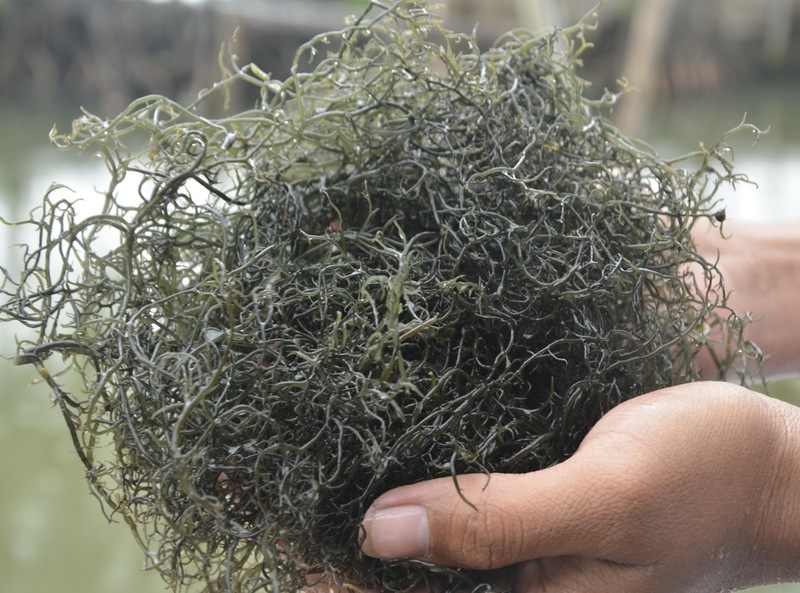 If TSH and T4 tests indicate low circulating thyroxin levels, continue seaweeds for another 2 months. It may take the thyroid that long to respond positively to continual regular presentation of adequate dietary iodine. Powdered whole seaweed may be much more effective than flakes, pieces, or granules. The powdered seaweed is best added to food immediately prior to eating; do not cook the seaweed for best results. All corticosteroids tend to depress thyroid function. Before trying to fix the thyroid, be sure to inquire about both internal and topical steroid use, including Prednisone and topical creams. These, as well as salicylates and anticoagulants, can aggravate existing mild hypothyroidism. Treatment Guideline 4: Partial thyroidectomy cases can be helped by regular continual dietary consumption of 3-5 grams of whole seaweeds three to four times a week. By whole seaweed I mean untreated raw dried seaweed, in pieces or powder, not reconstructed flakes or granules. Treatment Guideline 5: Patients with thyroid glands on thyroid replacement hormone (animal or synthetic) can respond favorably to replacing part or all their entire extrinsic hormone requirement by adding dietary Fucus in 3 to 5 gram daily doses, carefully and slowly. Fucus spp. has been the thyroid folk remedy of choice for at least 5000 years. The best candidates are women who seek a less hazardous treatment than synthetic hormone (after reading variously that prolonged use of synthetic thyroid hormone increases risk for heart disease, osteoporosis, and adverse interactions with many prescribed drugs, particularly corticosteroids and antidepressants). Fucus spp. contains di-iodotyrosine (iodogogoric acid) or DIT. Two DIT molecules are coupled in the follicular lumina of the thyroid gland by a condensing esterification reaction organized by thyroid peroxidase (TPO). This means that Fucus provides easy-to use-prefabricated thyroxine (T4) halves for a boost to weary thyroid glands, almost as good as T4. European thalassotherapists claim that hot Fucus seaweed baths in seawater provide transdermal iodine; perhaps hot Fucus baths also provide transdermal DIT. The best results with Fucus therapy are obtained with women who were diagnosed with sluggish thyroid glands and who are or were on low or minimal maintenance replacement hormone dosages. They may remark that they miss, forget, or avoid taking their thyroid medication for several days with no obvious negative short-term sequelae; others claim to have just stopped taking their medication. I do not recommend stopping thyroid medication totally at once. Thyroxin is essential for human life and all animal life; it has a long half-life in the body of a week or more, so that a false impression of non-dependency can obtain for up to 2 months before severe or even acute hypothyroidism can manifest, potentially fatal. Even though I personally do not recommend it, women regularly stop taking their thyroid replacement hormone, even after years of regularly and faithfully taking their medication. In many cases, their respective thyroid glands resume thyroxine production after a 2- to 3-month lag time with many of the signs and symptoms of hypothyroidism presenting while their thyroid glands move out of inactivity. This complete cessation of taking thyroid replacement can only be successful in patients who have a potentially functioning thyroid gland. Those who have had surgical or radiation removal of their thyroid glands must take thyroid hormone medication containing thyroxine to stay alive. Fucus can be easily added to the diet as small pieces, powdered Fucus in capsules, or freeze-dried powder in capsules. Sources of Fucus in capsules are listed under Seaweed Sources at the end of this paper. 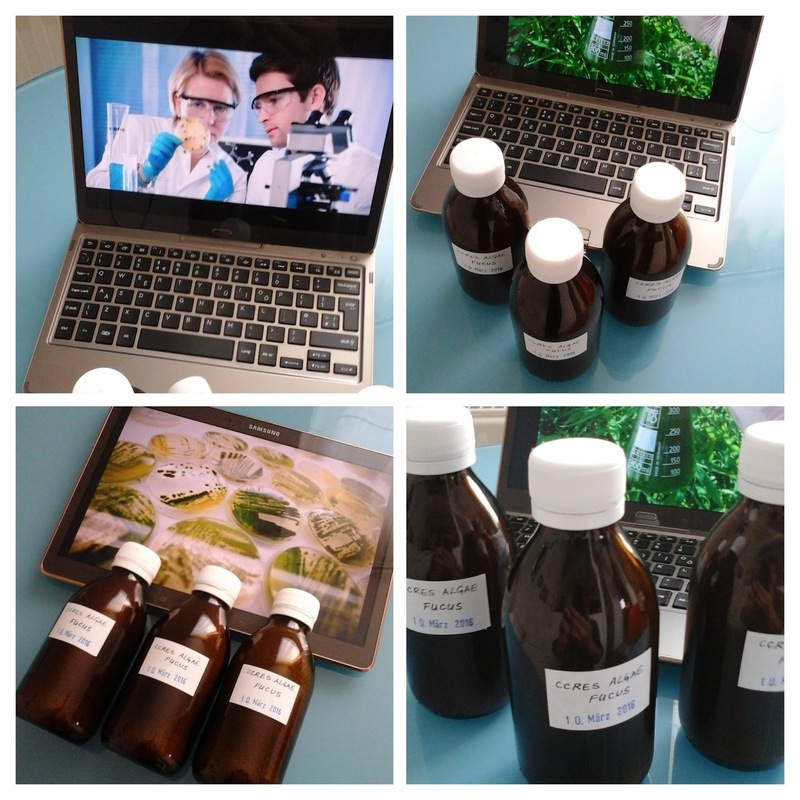 The actual Fucus is much more effective than extracts. A nice note is that Fucus spp are the most abundant intertidal brown seaweeds in the northern hemisphere. This is of especial interest to those patients who might be trading one dependency for another, as seems to be the case for some. A year’s supply can be gathered in an hour or less and easily dried in a food dehydrator or in hot sun for 10 to12 hours and then in a food dehydrator until completely crunchy dry. Fucus dries down about 6 to 1 (six pounds of wet Fucus dry down to about one pound). It has a modest storage life of 8 to 12 months in completely airtight containers stored in the dark at 50° F. A year’s supply at 4 grams per day is slightly more than 3 pounds dry. Encapsulated Fucus is available from Naturespirit Herbs, Oregon’s Wild Harvest, and Eclectic Institute. Treatment Guideline 6: Aggressive attempts to replace thyroid replacement hormone with Fucus involve halving the dose of medication each week for 4 weeks while adding 3 to 5 grams of dried Fucus to the diet daily from the beginning and continuing indefinitely. If low thyroid symptoms appear, return to lowest thyroid hormone maintenance level and try skipping medication every other day for a week, then for every other 2 days, then 3 days, etc. The intent is to establish the lowest possible maintenance dosage by patient self-evaluation and/or to determine if replacement hormones can be eliminated when the patient ingests a regular reliable supply of both biomolecular iodine and DIT. Thoughtful, careful patient self-monitoring is essential for successful treatment. Treatment Guideline 7: A more conservative replacement schedule is similar to the aggressive approach, except that the time intervals are one month instead of one week, and the Fucus addition is in one gram increments, beginning with one gram of Fucus the first month of attempting to halve the replacement hormone dosage, and increasing the amount of Fucus by a gram each succeeding month to 5 grams per day. The conservative schedule is urged with anxious patients and primary caregivers. There is some concern that excess (undefined) kelp (species either unknown or not mentioned) consumption may induce hypothyroidism. It seems possible. The likely explanation is an individual’s extreme sensitivity to dietary iodine: Icelandic kelp can contain up to 8000 ppm iodine; Norwegian kelp can contain up to 4000 ppm iodine. Most kelps contain 500 to 1500 ppm iodine. The only definitive study I have seen is a report from Hokkaido, Japan, where study subjects, at a rate of 8% to 10% of total study participants, presented with iodine-induced goiter from the consumption of large amounts of one or more Laminaria species (Kombu) of large kelps, known to be rich (more than 1000 ppm) in available iodine. Reduction of both total dietary iodine and/or dietary Kombu led to complete remission of all goiters. The apparent iodine-induced goiters did not affect normal thyroid functioning in any participants. Two women in the study did not care if they had goiters and refused to reduce their Kombu intake. Note that the Japanese have the world’s highest known dietary intakes of both sea vegetables and iodine. Reduction or elimination of seaweeds from the diet is indicated for at least a month in cases of both hyperthyroidism and hypothyroidism, to ascertain if excess dietary iodine is a contributing factor to a disease condition. Other dietary iodine sources, particularly dairy and flour products, should also be reduced and or eliminated during the same time period. Some individuals do seem to be very dietarily iodine-extraction efficient and iodine sensitive simultaneously.